Why would each of us want and need a massage? Our lives are different and unique. We have different jobs, whether at home or in an office. We try to balance our daily responsibilities and goals with our basic human need for rest and relaxation. For some of us, achieving this balance is a constant struggle and contributes greatly to the amount of stress we experience. Despite our lifestyle differences we all have one thing in common, stress. Our stress can spill onto our loved ones and fellow employees alike — on our neighbors and on complete strangers who beat us to the grocery checkout or cut in front of us while we are driving. Our fast-paced world assaults our minds and bodies in multiple ways, and none of them are good. A typical person may check their smartphone 85 times a day. Think of this typical person as stressed. Americans as a total population check their smartphones eight billion times a day. That is industrial strength stress! The question is how are we going to manage our stress before it seriously affects our health? According to the American Massage Therapy Association, massage therapy can significantly reduce physical and psychological levels of stress. In other words, a one-hour therapeutic massage is an antidote for stress because it encourages rest, relaxation and equanimity. Here in Ann Arbor, massage therapy offices are located all over town. When you book your next massage appointment we encourage you to schedule with Thrive Massage & Bodywork, LLC. We are skilled and dedicated Ann Arbor massage therapists who can deliver results and help you experience a deep state of relaxation. 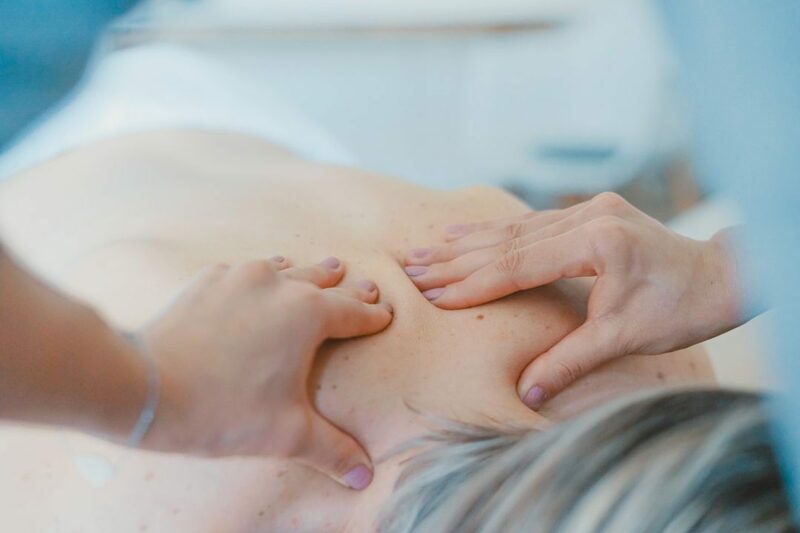 Heidi Johnson, owner of Thrive, has been a licensed massage professional for over twenty years, sixteen of them practicing in Ann Arbor, and confirms that stress reduction is one of the major benefits of massage therapy. We see our clients experience relief after each session. Medical research via the American Massage Therapy Association supports our experience. Significant reductions in systolic and diastolic blood pressure and heart rate were measured as an effect of trigger point massage therapy. Reduction of oxygen consumption (rapidity and depth of breathing) and salivary cortisol levels are also associated with massage therapy. Significant improvements for those assigned to the massage therapy study groups were measured in the Perceived Stress Scale, the POMs Depression Scale, and the Anxiety State Scale. What does this tell those of us who live in Ann Arbor? There are not two but three responses to stress: 1) flight, 2) fight, 3) or massage. Or just visit us, Ann Arbor massage therapists, at Thrive Massage and Bodywork.